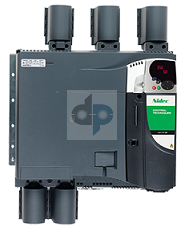 The Mentor MP is the latest and most advanced DC drive from Control Techniques. 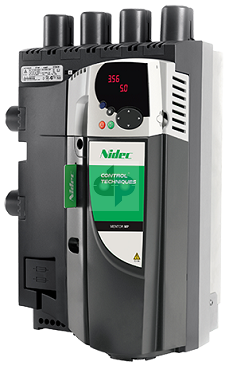 The Mentor MP integrates the most recent advances in DC drive technology with the control platform of the Unidrive SP, known throughout the industry as the foremost AC drive. The Mentor MP offers system-wide interface flexibility. Coupling an existing DC motor with a Mentor MP drive may allow you to retain existing equipment, while upgrading the overall reliability of your system. Providing a digital interface between the DC motor and the control equipment used to operate a system allows an unprecedented level of DC motor control, enhancing system reliability and increasing motor performance. Interfacing is greatly simplified, using commonly available Ethernet or Fieldbus connections. DC drive technology continues to present unique advantages. DC drives present simple implementation, high efficiency, and cost-effectiveness. DC drives excel in applications having high-power or regenerative aspects.